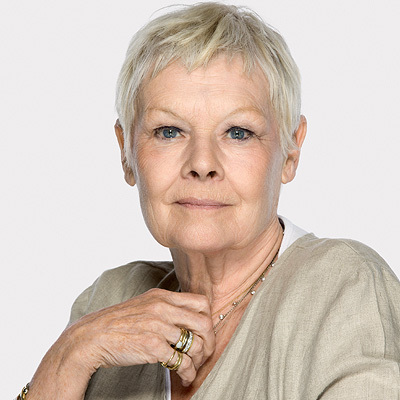 Dame Judi is widely recognised as one of the finest actors in the world, not only in classical theatre, but also in comedy, contemporary and musical theatre and every kind of film from romantic comedy to thrillers and even sci-fi. She is perhaps best known for her appearances as ‘M’ in two decades of James Bond films and for her long running television series ‘As Time Goes By’ and ‘A Fine Romance. But she was recognised as an outstanding actor when she was still a student at the Central School of Speech and Drama (she won the Gold Medal) and she spent much of the next decades starring in productions for the Royal Shakespeare Company and National Theatre. Among her many outstanding successes are her acclaimed Lady Macbeth with Ian McKellen and her magnificent Cleopatra; and her heart-breaking Sally Bowles in ‘Cabaret’ and Desiree Armfelt in Stephen Sondheim’s ‘A Little Night Music’. Her long film career is no less distinguished and apart from her role as ‘M’ she has played Queen Elizabeth l in ‘Shakespeare in Love’, Queen Victoria, Iris Murdoch in ‘Iris’ and was one of the stars in ‘The Best Exotic Marigold Hotel’. She has received innumerable awards and nominations including six British Academy Film Awards, four BAFTA TV Awards, seven Olivier Awards, two Golden Globes, an Academy Award and a Tony. She is also a Fellow of the Royal Society of Arts. Amongst many academic and other honours she was appointed a Dame Commander of the British Empire in 1988 and was made a Companion of Honour in 2005. 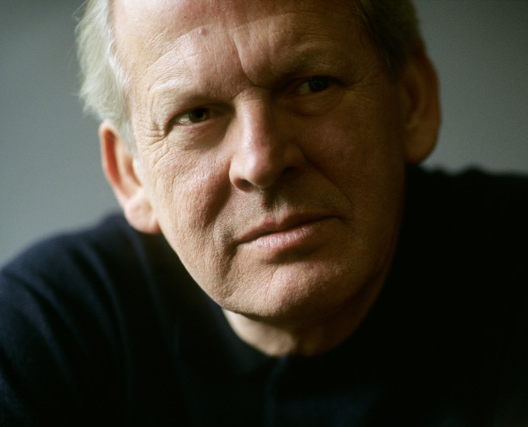 Sir Thomas Allen is one of the greatest baritones in the world and has starred in all its leading opera houses. He has sung over fifty roles at the Royal Opera House, Covent Garden and made his debut at the Metropolitan Opera, New York 35 years ago. He has been particularly acclaimed for his Billy Budd, Pelléas, Eugene Onegin, Ulisse and Beckmesser, as well as the great Mozart roles of Count Almaviva, Don Alfonso, Papageno, Guglielmo and, of course, Don Giovanni. His recent engagements have included the title role in ‘Gianni Schicchi’ for Los Angeles Opera; the title role in ‘Sweeney Todd’; Beckmesser and Don Alfonso at the Royal Opera House, Covent Garden; and leading roles at the Bayerische Staatsoper, Bolshoi Theatre of Russia, Glyndebourne, Dallas Opera, the Lyric Opera of Chicago and at the Salzburg Easter and Summer Festivals and the Metropolitan Opera, New York. Equally renowned on the concert platform, he appears in recital in the United Kingdom, throughout Europe, in Australia and America, and he has performed with the world’s outstanding orchestras and conductors. Much of his repertoire has been recorded with such distinguished conductors as Solti, Levine, Marriner, Haitink, Rattle, Sawallisch and Muti. He made a triumphant directing debut in 2003 with ‘Albert Herring’ and he has recently directed tremendously successful productions of ‘Don Giovanni’, ‘Così fan tutte’, ‘Le nozze di Figaro’ and ‘Don Pasquale’. He has been honoured by many academic institutions including the Royal Academy of Music and Royal College of Music and has been a professor of opera studies at the latter and Oxford University. He is Chancellor of Durham University. He was created a Commander of the British Empire in 1989 and he was knighted in 1999. He may be the only opera star to have a Channel Tunnel locomotive named after him. He was awarded the Queen’s Medal for Music 2013.